Gold jewelry is flying off the shelves, causing high-end retailers to expand their offerings and Tiffany & Co. to even raise its full-year forecast. Sales of 2018 American Eagle Silver Bullion coins soared 72 percent in August, forcing the U.S. Mint to declare that it’s temporarily Sold Out! The agency reports that overall purchases of physical precious metals are up an astounding 126 percent! Who’s buying? Smart money. Why? Rock-bottom prices! But with physical demand rising and prices sure to follow, the window to get in on the safe haven shopping spree is closing quickly. Whether you’re planning to buy low and sell high or hedge your portfolio against the brewing economic storm and rising inflation, you’d better act soon. Physical metals are moving fast! After a summer marked by slumping physical precious metals prices, demand is starting to take off. Gold and silver coin sales at Scottsdale Bullion & Coin shot to a 17-month high in July! And we weren’t the only ones to get in on the rally. The close of summer brought headline-making sales for the U.S. Mint. Purchases of gold bullion coins jumped by 8,000 ounces during the last week of August and by 17,000 ounces in the first week of September: 10,500 ounces of American Gold Eagles in September and 6,000 in August; 6,500 ounces of American Gold Buffalos in September and 2,000 ounces in August. American Silver Eagles were by far the star of the show, however, with sales soaring to 1,037,500 ounces in the first week of September, up from 350,000 ounces in the last week of August—a 74 percent increase! Silver sales gained nearly 50 percent from August 2017. The U.S. Mint announced on September 6 that it had temporarily sold out of its inventories of 2018 American Eagle Silver Bullion coins. The last time that happened was in 2008 when the market was plagued by inflation and economic downturn—conditions many experts predict are on their way back. Overall, August U.S. Mint sales were up 126 percent from a year ago. Historically, jewelry buying rises as gold prices fall. That has certainly been the case in the U.S., where demand is steadily growing, reporting the strongest first quarter since 2008 and up 5 percent to 28.3 tonnes in the second quarter, a ten-year high for that period of time. Year-to-date demand came in at a robust 51.9 tonnes. Europe saw modest growth, with slight increases in the first and second quarter. Southeast Asia is shaping up to be a major buyer, with Indonesia notching a three-year high for purchases of gold jewelry, and Vietnam reporting the strongest first quarter since 2008. In India, which is predicted to replace the U.S. as the second largest fine jewelry market in the world, gold imports exploded in August. Manufacturers preparing for the India International Jewellery Show took advantage of low prices to replenish inventory, boosting gold purchases to 100 tonnes, a 116.5 percent year-on-year increase. Sales are expected to rise again ahead of the wedding season. 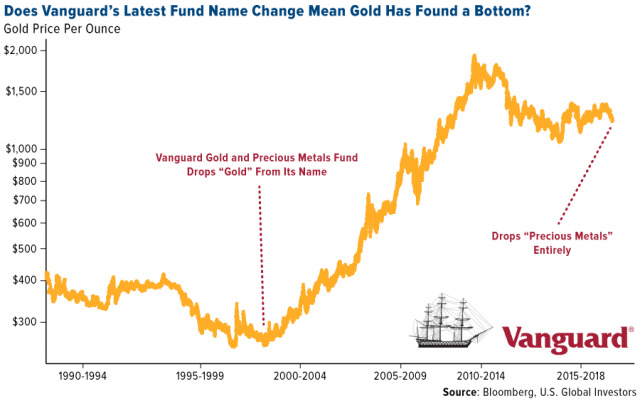 Often the first to spot major financial shifts, institutional investors and market mavens have been keen on physical precious metals lately. Everyone from Wall Street heavyweights to billionaire business tycoons can’t get their hands on enough of the shiny stuff. At a conference featuring twenty-five world-renown economists, asset managers, and investment experts last spring, several of the high-profile speakers—some of them even former gold bears—extolled the yellow metal, urging attendees to hedge against the coming financial crisis. ‘Gold is money. It’s real money. For 5,000 years, an ounce of gold has bought a fine man’s suit,’ explained the CIO and CEO of Morgan Creek Capital Management, Mark Yusko, in a speech comparing the Federal Reserve to a dictator that robs his or her own country. ‘It’s a great time to be buying gold… because one way or the other, this baby’s got to break in a big way,’ asserted Jeff Gundlach, the CEO of Doubleline Captial. ‘I think the time indeed has come for having gold in your portfolios,’ suggested the co-founder and CEO of Gavekal Research, Louis Gave, arguing that gold is the best hedge against inflation. A love of history, especially the makings of the country’s financial system, compels some into collecting rare coins. But many more are entering the market simply because they’ve spotted bargains. For example, the finest known 1913 Liberty Nickel sold at an auction in August 2018; which could bring the buyer an upside potential of over $500,000 profit! On the heels of the longest economic expansion in history, those who’ve perhaps benefitted the most—the super-rich—are selling overpriced assets to make room for underpriced ones, rare coins among them. It’s not just savvy individual investors buying up gold coins, bars, and jewelry. Entire countries and their central banks are also behaving like gold bugs! Emerging markets have diversified and increased their investor and consumer base for gold. Over the last twenty years, annual demand for gold from India and China has doubled from 25 percent to 50 percent. And imports of gold to these countries have recently spiked. The world’s leading gold buyer, China imported 88.608 tonnes of gold via Hong Kong last June, a 42 percent increase from May. Year-over-year imports from Hong Kong, Switzerland, Australia, Singapore, and the United Kingdom rose 21 percent to 604.90 tonnes. India’s gold imports more than doubled in August, reaching their highest level in fifteen months. As mentioned earlier, the world’s second biggest consumer of gold bought 100 tonnes. Although imports decreased 12.6 percent in the first eight months of the year, they are expected to rebound as the government raises farmers’ incomes. In the decades after President Richard Nixon did away with the gold standard, central banks kept their coffers low, routinely selling gold. After the global financial crisis in 2008, they started buying again. Concerns about the dollar have even triggered a bullion buying binge. Unlike other central banks, the Reserve Bank of India (RBI) doesn’t trade in gold on a regular basis, which is why markets took notice when it bought gold for the first time in about ten years. Throughout the financial year 2017-18, the RBI added 8.46 metric tons of the yellow metal to its vaults. U.S. sanctions have sent the Central Bank of Russia away from American debt and into gold. Moscow purchased 26.1 tons of gold last July, bringing its total holdings to 2,170 tons. At the same time, the country reduced its holdings of U.S. Treasuries from $96.1 billion in March to $48.8 billion in April; by May, that number had dropped to just $14.9 billion. Turkey’s central bank has been the second biggest buyer of gold behind Russia so far this year, purchasing 38.1 metric tons, an 82 percent jump from the same six-month time span in 2017. Across the globe, central banks added a total of 89 tons to their reserves in the second quarter of 2018. Mongolia and Kazakhstan were among the major buyers. Over the past ten years, increased demand among the central banks of emerging markets has resulted in net purchases of about 500 tons of gold a year. It’s a simple equation really: gold prices have bottomed just as geo-economic risk at home and abroad is escalating, increasing the demand for safe havens. All that stands in the way of a massive gold rally is the dollar, but its run will be over soon. Read “Is President Trump Telling You to Buy Gold Now?” to find out why. Another flashing red sign that prices have bottomed and a rally is on the way comes from Vanguard, the largest fund company in the world. Starting in September, the fund will decrease its exposure to metals and mining from 80 percent to only 25 percent. Back in 2001, Vanguard did something similar. As you can see in the chart above, the change coincided with a decade-long bull run in gold! Although individual precious metals coin and jewelry buyers may not fuel rallies, they do serve as a barometer of real demand in the economy. Physical “demand has historically proved a faithful floor when prices have fallen. At the same, many experts are predicting the record-long economic expansion and stock market bull run will end soon. Goldman Sachs’ “so-called bull-bear indicator” hasn’t pointed so strongly toward a bear market since the mid-1970s. Globally, the trade war, the emerging market currency and debt crisis, and more aggressive U.S. sanctions against Iran could set off the next financial crisis. Stop Missing Out! Buy Gold and Silver before Prices Breakout. Limited Time Special Offer For You! Smart money is moving into physical metals. Investors are buying up deals like it’s an end-of summer sale. The Mint sold out of product! What are you waiting for? Get in on the Silver Rush with this special offer!